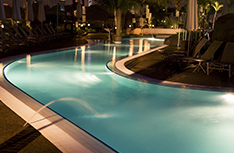 We offer the best pool services for Palm Beach Gardens and the surrounding communities. For more information on our services, please contact (561) 255-7603. Welcome To Blue Diamond Pools & Spa, Inc. Imagine the bright blue expanse of a gorgeous pool right in your back yard. Nothing feels better than being able to escape the summer heat with a cool dip in the afternoon. And what could be more convenient than just stepping out your door and into your own private pool? 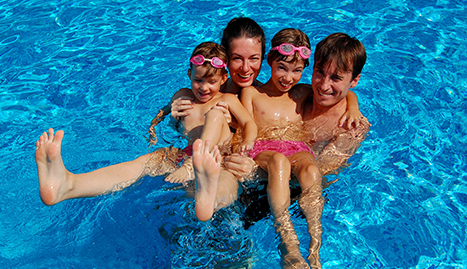 At Blue Diamond Pools & Spa, Inc., we know that a pool is so much more than just a pool. It is an escape, a respite, a personal oasis. For that reason, we put 100% of our efforts into making your pool or spa a great place to be. We are certified in pool maintenance and licensed and insured. You can count on us to get the job done right. 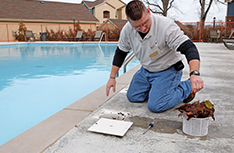 All of our staff members are highly trained professionals that you can trust to know what is best for your pool or spa. We want every client to be completely satisfied with their service and we offer a great deal for repeat customers. If you need weekly cleaning services or need an expert to handle pool maintenance, don’t hesitate to give us a call. We offer cleaning and maintenance services for spas and Jacuzzis as well. If you are in the Palm Beach Gardens, FL area, get in touch with us today and start swimming in no time!